Dubai: A “beach” within Dubai city? A new luxury community in Dubai manages to tick that box as well. For its first residential venture in Dubai, the Majid Al Futtaim Group is to build 6,500 homes in four phases over the next 10 years within the Dubailand master-development. Along with the rest of the elements at “Tilal Al Ghaf”, there will be a 2 kilometre plus beachside enjoying a prime spot within it. The water body will encompass 70,000 square metres. The project, spread over 3 million square metres, is located at the intersection of Hessa Street and Shaikh Zayed Bin Hamdan Al Nahyan Street, near Dubai Sports City. Dubai’s leading developers are making full use of the water element where possible. 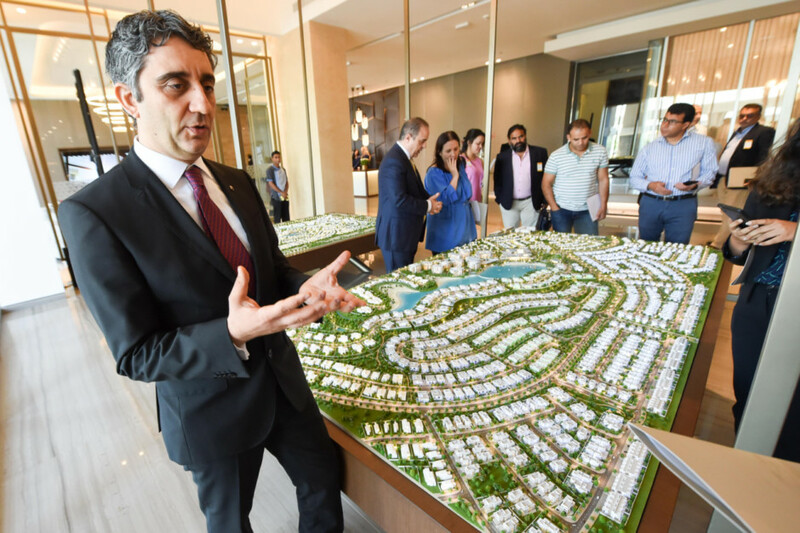 The Sobha Group has a lagoon at its MBR (Mohammad Bin Rashid) City project, while others are making full use of locations up and down the Canal extension such as Aykon City. There is also the massive Dubai Creek Harbour and, more recently, a multi-tower cluster forming the Emaar Beachfront, occupying a stretch between Jumeirah Beach Residence and the Palm. The first homes at the Dh14 billion development will be priced between Dh6 million to Dh16 million, with built-up areas ranging from 300 square metres to 800. The first phase — set for delivery in 2020 — will have 800 homes. (Details on the per square foot pricing were not revealed.) Smaller units will also be launched, most likely at the time of Cityscape Dubai event later this year. Majid Al Futtaim is coming to Dubai at a time when off-plan sales are seeing a marked decline in the year to date. There are still transactions happening at the luxury end of the market, but on the whole buyers are taking an extremely cautious approach. But top officials with the developer said it is aiming for a niche presence and over the longer term. 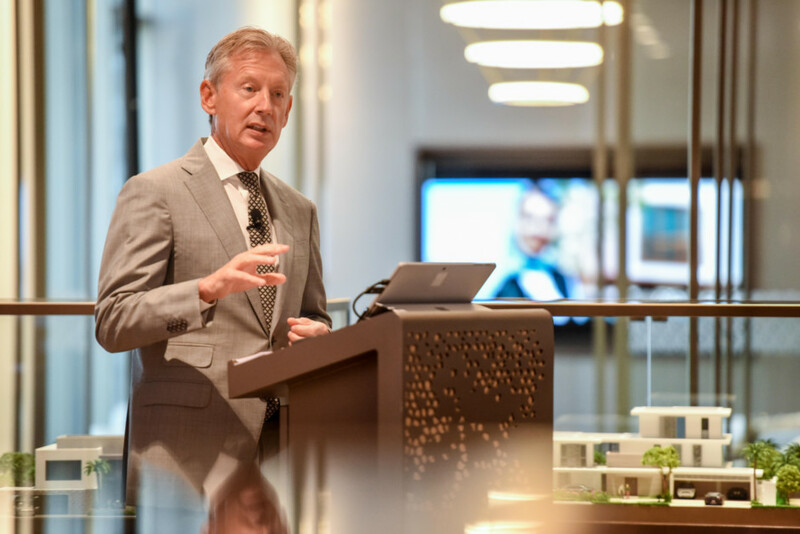 “We will take adequate risk mitigation on inventory releases and whether absorption levels match up,” said Robert Welanetz, CEO of Majid Al Futtaim — Properties. “We are definitely not focused on being a volume player or competing with those existing developers in the residential space. Not that Majid Al Futtaim is coming in with no track record of mixed-use, community-themed projects. It has ongoing projects in Oman, Lebanon and Sharjah (the Al Zahia villa cluster), all of which are well past the halfway mark. (Incidentally, all three projects are joint ventures.) At Tilal Al Ghaf, one thing the developer does not plan to do is create a “big-box” retail destination. Sure, there will be extensive retail elements, but these would be spread out at the street level, and in keeping with the look and feel of the rest of the master plan. * Majid Al Futtaim’s Tilal Al Ghaf is the latest upscale destination in Dubai competing for high net investors. Some of the “districts” within MBR City and the projects within them are already established on the off-plan radar, as is Dubai Creek Harbour. The other options for buyers would be any of the islands spreading out off the Dubai shores, with Bluewaters, Jumeirah Bay and Nikki Beach among them.